If you are a fan of performance cars, the Subaru WRX/STI is alive and well around the globe and especially here in the U.S. Subaru released sales figures for the month of October and the performance WRX and WRX STI are both selling well for the Japanese automaker. The Impreza WRX/STI has seen an increase of 23.3 percent over the same month last year and a 39.1 percent increase over the first ten month’s of the year. Subaru production is running at full capacity. 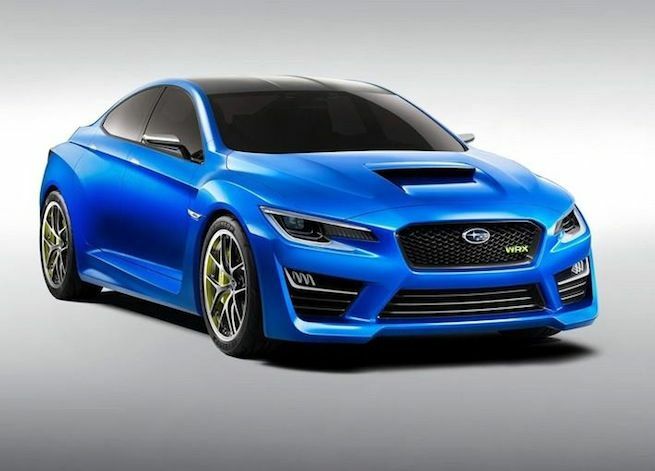 What will happen when they launch the next-generation 2015 WRX STI? The 2015 Subaru WRX STI is getting ready to launch sometime next year with more power and significant upgrades. Demand for the next-gen model should be extremely high. Record numbers of buyers are shopping the performance model and the Subaru brand overall has seen an increase in sales across the entire lineup. Fuji Heavy Industries Ltd (FHI), the maker of Subaru automobiles, is increasing capacity to keep up with the demand. “We have seen record numbers of consumers shopping the Subaru brand and we have seen wonderful acceptance across our line-up. Consumers are not just shopping a single model – there has been demand for Outback, Forester, XV Crosstrek, Impreza as well as our performance models WRX and STI,” said Bill Cyphers, senior vice president of sales, Subaru of America, Inc.
Demand for the performance WRX/STI is helping to fuel record sales at Subaru around the globe and especially here in the U.S., Subaru’s largest market. In a report from Reuters, Fuji Heavy's chief executive Yasuyuki Yoshinaga said in a results briefing, "We boosted capacity to match what we expected to sell, but it's surpassed even that, faster than we'd ever imagined." How will Subaru keep up with the demand? The Japanese automaker is selling many of the WRX/STI models here in the U.S. where it see’s about half it’s sales globally. But Subaru is finding it increasingly difficult to keep pace with growing demand. The company is experiencing growing pains from new first-time Subaru buyers but is not at a place yet where they can build a new plant. But the existing manufacturing plant in Indiana is bursting at the seams, and the main plant in Japan where the Impreza WRX/STI is manufactured is running at full capacity. Fuji Heavy plans to spend $400 million to boost capacity at the Indiana plant by another 130,000 vehicles, but that won't be ready until the end of 2016. Production of the 2014 Subaru WRX/STI is underway and performance fans don’t need to worry for now if Subaru will be able to keep up with demand for the performance car. But when the new-generation 2015 WRX/STI is introduced, there could be such a strong demand, that Subaru won’t be able to keep up. Stay tuned to Torque News for the latest WRX/STI updates.